DogTime.com first told you about Colorado Senate Bill 226 back in April, when dog owners and animal advocates across the state joined legislators on both sides of the aisle in calling for mandatory police training as a means to prevent tragic dog shootings. In addition to the Dog Protection Act, Colorado also passed SB 201, which named the state pet as any cat or dog adopted from an animal shelter or rescue. Well, it looks like state policymakers have taken notice. After gaining unanimous support in both legislative chambers since its introduction, Colorado Governor John Hickenlooper signed Senate Bill 226, now known as the Dog Protection Act, into law in a legislative session held Monday, May 13. The Governor’s own rescue dog Skye — an Akita–Bulldog–Chow Chow mix — was also on hand to enjoy the day’s festivities. As part of the new law, Colorado law enforcement officers must complete three hours of department-created training on canine behavior and the use of nonlethal force. As part of the updated guidelines, police officers will be told to give owners the chance to secure their dogs in other rooms or outside whenever responding to a non-violent call. Lawmakers, including the Governor, are praising the measure. “The idea here is to keep officers and animals safe,” Governor Hickenlooper tells The Huffington Post. With the inception of the Dog Protection Act, Colorado becomes the first state in the nation to adopt a balanced plan that protects responding police officers while preventing unnecessary dog deaths. 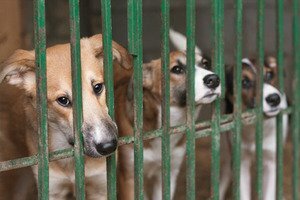 “This is a bipartisan day for dogs,” Senator David Balmer (R-Centennial) tells OurColoradoNews.com. Senator Balmer and Senate Bill 226 co-sponsor Senator Lucia Guzman (D-Denver) were present at Monday’s historic bill signing. Colorado resident Brittany Moore, whose own German Shepherd, Ava, was shot dead by a police officer two years ago while chewing a rawhide bone, believes the Dog Protection Act is an important step in the right direction, and that it has the potential to save the lives of many dogs. KDVR FOX 31 News reports that Ava was one of about 30 dogs who have lost their lives in Colorado police shootings in the past five years. Under the new law, police departments across the Centennial State must have their canine behavioral training programs ready to go by September 1, 2014. The Dog Protection Act wasn’t the only bill signed into law Monday — Senate Bill 201 makes Colorado the twelfth state in the nation to name an official state pet. While the state has had an official land mammal — unsurprisingly for such a mountainous state, the bighorn sheep — since 1961, the Daily Caller reports, the state can now boast that its official state pet is not a single breed or even species, but any dog or cat adopted from a shelter or animal rescue. Though support for the measure wasn’t exactly undisputed, with one lawmaker even arguing the bill’s language showed prejudice against the many homeless birds and reptiles at shelters, the Governor’s autograph makes Senate Bill 201 official. Co-sponsor of the legislation, Representative Brittany Pettersen (D-Lakewood), is celebrating the signing, calling the new designation a victory for shelter pets.